Become a Patron! Darksiders - An End and New Beginning! Comic 55 - An End and New Beginning! 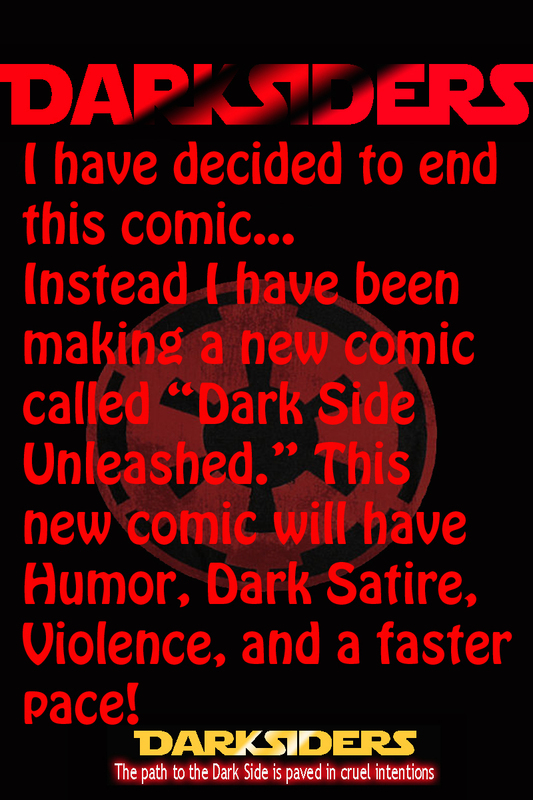 Check out the new comic "Dark Side Unleashed" it is a little different, but I have given the characters more definition!